As we get ready for Game 3 in the NBA finals between the Heat and the Mavericks, time to check out some classic chatter. 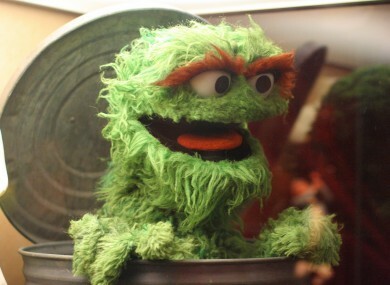 Oscar the Grouch: the original trash talker. THE MOST ENDURING figures in sports lore routinely find ways to get into the heads of their opponents. Yeah, we’re talking about trash talking. That begs the question: who was the best trash talker ever? That’s an impossible question to answer, but we’ve found some of the kings of the game. Ironically, most of the prolific trash talkers — think Larry Bird and Michael Jordan — kept their reputations sterling and were praised for their gamesmanship. We have assembled quotes and video footage of some of the most amazing moments in trash talking history. “Damn! I didn’t mean to leave any time left on the clock.” – to Xavier McDaniel after telling him that he was going to hit the game-winning shot and where exactly he was going to attempt it. “The mailman doesn’t deliver on Sundays.” – Pippen to Karl Malone, aka “the Mailman,” before Malone attempted two very important free throws during the Sunday-held Game 1 of the 1997 NBA Finals. “Man, you won’t even be in the league next year.”- said to former Nets Center Jamie Feick. Feick lasted six games before he was done for good. Their exchange after Reggie scored after 8 points in 9 seconds. It’s hard to tell what Miller said to Spike exactly, but it had something to do with the Knicks choking away another big game. Ochocinco once sent gift baskets filled with sticks of deodorant to the members of the Baltimore Ravens secondary so they wouldn’t sweat covering him. Here are ten quotes from the Big Aristotle, including the one about the Kings. How dare these boxers challenge me with their primitive skills? It makes me angry. They’re just as good as dead. My power is discombobulatingly devastating I could feel is muscle tissues collapse under my force. It’s ludicrous these mortals even attempt to enter my realm. Neon Deion could distract his opponents while maintaining his focus. During a October 16th, 1994 game in Atlanta, Sanders got into a fist fight with Falcons receiver Andre Rison. Rison was held to 32 yards receiving for the game, and Sanders ended up getting a pick six the next quarter. While running the interception back, Sanders spent about twenty yards of it trash talking the Falcons sideline. What Neon Deion said is unclear, but it looked angry. Here is Mayweather talking about Oscar De La Hoya to Oscar De La Hoya, and then behind his back. Jackson also enjoys making fun of Craig Sager’s suits. The Darrick Martin game. Jordan’s Bulls were losing to the lowly Vancouver Grizzles. Grizzlies guard Darrick Martin hit a three-pointer to widen the gap and then proceeded to run past the Bulls bench and yelled, “I told you we were going to beat you tonight.” Jordan immediately got up off the bench and told Martin “Little man, I told you not to trash talk me.” Jordan was right. Martin shouldn’t have said anything. Reproduced with the kind permission of BusinessInsider.com. Email “No, YOU'RE ugly: 15 best moments of US trash talk”. Feedback on “No, YOU'RE ugly: 15 best moments of US trash talk”.